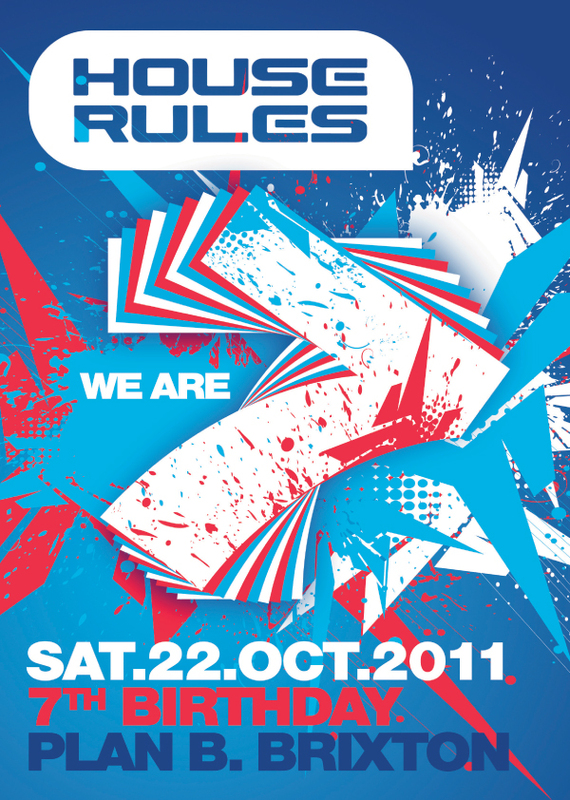 House Rules are celebrating their 7 birthday on Saturday 22 October at Plan B in Brixton. Deck duty will be performed by Steve Angello favourites Third Party, Cream Ibiza’s Gareth Wyn and House Rules residents. Special advance birthday tickets are available for just £7 via residentadvisor.net and ticketweb.co.uk. It will be more on the door so grab them now!